SPECIAL DEAL - Usually 24.99, today just 14.99 - Save £10! 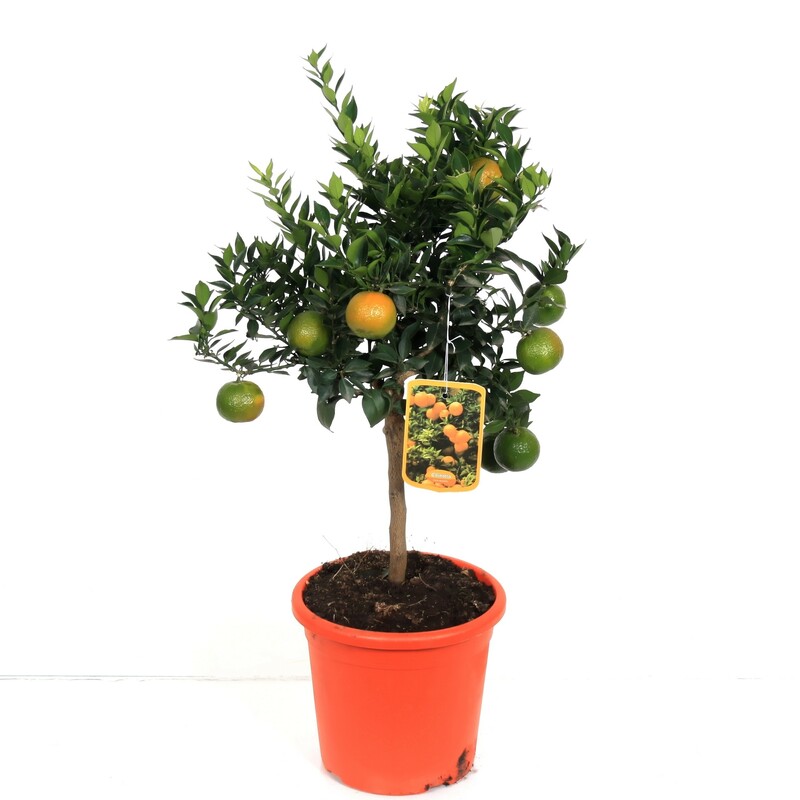 Making the perfect gift, this compact Orange tree is often delivered already in fruit, so is sure to make an impact on the lucky recipient. Resembling a full grown tree in miniature size, it simply needs positioning in a bright position such as a windowsil or in a conservatory. These Orange trees flower and fruit readily and are not difficult to grow, preferring a minimum winter temperature of 40ºf/5ºc at night and a little higher by day. They can be grown outside in the summer months. Deliciously fragrant white flowers open from red-tinted buds throughout the summer and are followed by good quality fruit. Provides colour and interest year-round in the home and produces great quality oranges, which are particularly good for making a delicious marmalade! They are an essential flavoring agent of most Italian amari, of the popular Campari aperitif, and of several brands of carbonated soft drinks that are generically called "chinotto". Citrus myrtifolia is sometimes planted in gardens, however in the UK it's best planted in a pot or other container. Supplied as pictured in an approx 2 litre container.